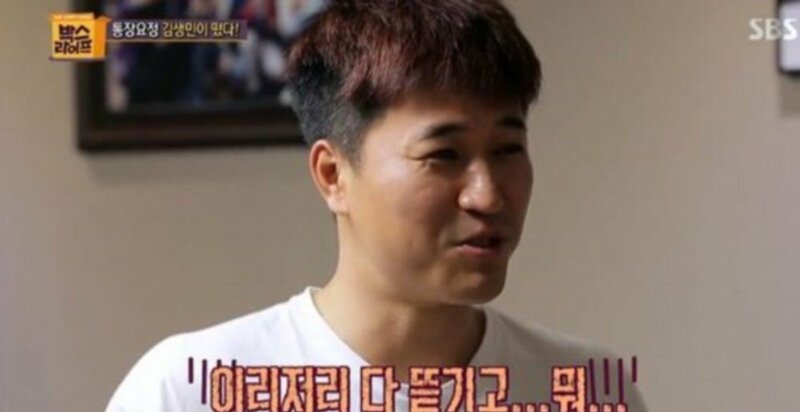 Kim Jong Min confessed he's actually broke on the January 10th episode of the SBS pilot variety show 'Box Life'. Though fans familiar with the '1 Night 2 Days' star would think otherwise, Kim Jong Min admitted to viewers he doesn't have much in the bank. 'Box Life' host Kim Saeng Min asked, "Isn't this your house? I think I've seen you for 10 years throughout my time on 'Entertainment Relay'. Haven't you earned a lot of money?" Kim Jong Min responded, "This isn't my house. I don't have money. It was taken away by people here and there." The two then decided to test the value of their faces on a ridiculous smartphone app. While Kim Saeng Min's value came out to about $30 USD, Kim Jong Min's face landed at $10. The Koyote member commented surprised, "I didn't know I would come out so cheap."